Recently I went to an event with my boyfriend that I was looking forward to. The moniker seemed to celebrate black culture and I thought I was in for an evening of good vibes. The crowd was primarily African-American and when we walked in everyone was dressed so beautifully, but one thing was missing– smiles. You go to an event and speak to some of the people you know, but it seems there is little to no interaction between strangers. I mean everyone looks great but no one looks approachable. Most of the men are glaring trying to see what prey they may be able to take home and the women are competing for that attention. In my opinion it makes for a hostile environment. Now some people may think “oh you’re just paranoid, no one is looking at you,” but even my boyfriend had to comment on it when we were leaving and walking through the parking lot. There were even girls staring from their cars. Now this is not to say that they were staring at me because I am good looking or staring because I was actually there with a guy. Quite frankly I have NO IDEA why people think it is ok to stare at you that way or what is behind their glares. I make a conscious decision when I am looking at another woman, whether it’s admiring her style or her looks or whatever, to smile. My smile is to say, “Yes I know that I am looking at you, but I come in peace.” At this event there were just grimaces. 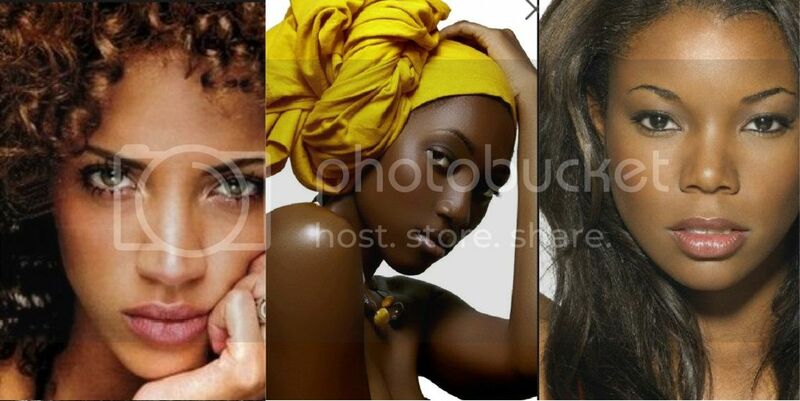 This brings me to my original idea for this post which is “my beauty does not negate yours.” Sometimes I think that as women, especially African-American women we think that someone else’s beauty takes away from ours. But it’s a ridiculous thought. We come in all colors, shapes, sizes, attitudes, etc. There is so much to be admired. We have got to learn how to revel in one another’s beauty instead of constantly feeling like we are in competition. Yes I think I look nice, but I also think you do too! That’s not a hard mentality to have. I literally wanted to invite the women at this event to my BBB Series. I may be crazy, but it’s part of my purpose to help promote sisterhood among black women. I refuse to let media, television, or any other outside source dictate to us how we should treat one another. This is not Basketball Wives or Love& Hip Hop; there is no room for bullying, competition, and hate amongst women of color. We have got to do better and I am challenging each of you to be the change we need to see.